For those of you who enjoy gourmet Italian delicacies made with the finest quality ingredients, you've come to the right place! 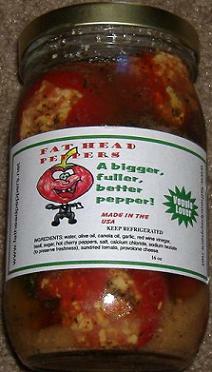 Each Fathead Pepper is hand stuffed with sharp provolone cheese and its' complimentary ingredients. The hot cherry peppers then marinate in a superb mixture of oils and seasonings. 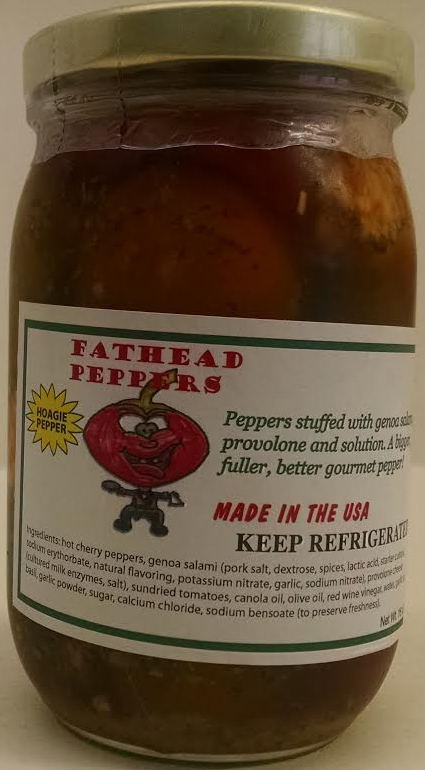 When you get Fat Head Peppers, you get two products in one: the pepper and the brine it sits in. The bigger, fuller peppers can be enjoyed alone, and the brine is fabulous when used as a dipping sauce or marinade. A hot cherry pepper stuffed with Proscuitto and Sharp Provolone cheese. A hot cherry pepper stuffed with aged Sharp Provolone and Sun Dried Tomato. A hot cherry pepper stuffed with Genoa Salami, Provolone Cheese, and a touch of Sun Dried Tomato. 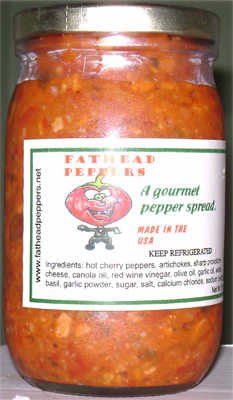 Fathead's Gourmet Pesto and Pepper Spreads are made with the finest gourmet ingredients. Each one of Fathead's products is hand crafted ensuring the highest quality. Fathead's Gourmet Pesto and Pepper Spreads are packed with bold flavors to take appetizers and sandwiches to the next level. 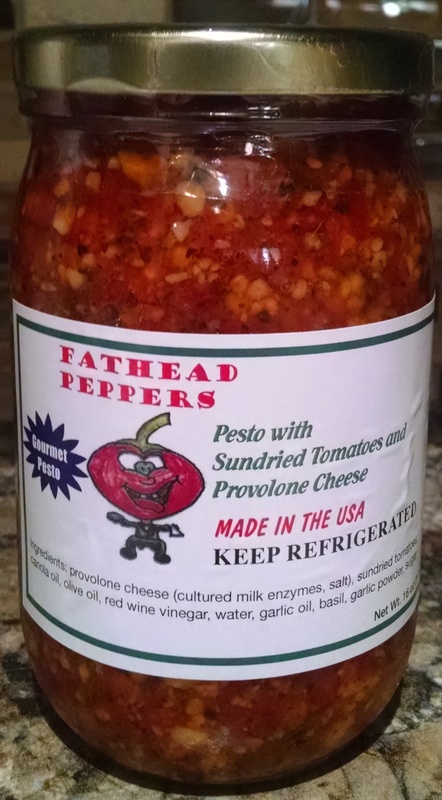 Fathead's Gourmet Pesto is made with sun-dried tomato and sharp provolone. 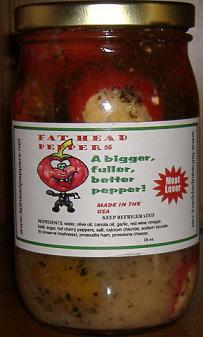 A non-spicy delicious product that is the best recipe that Fathead has come up with yet. Fathead's Spicy Gourmet Pesto is a spicy twist to Fathead's traditional Gourmet Pesto. This new product is made with sun-dried tomato, sharp provolone and just the right amount of spice. The Gourmet Pepper Spread is a mixture of artichokes, provolone cheese, hot cherry peppers, and everyone's favorite brine.